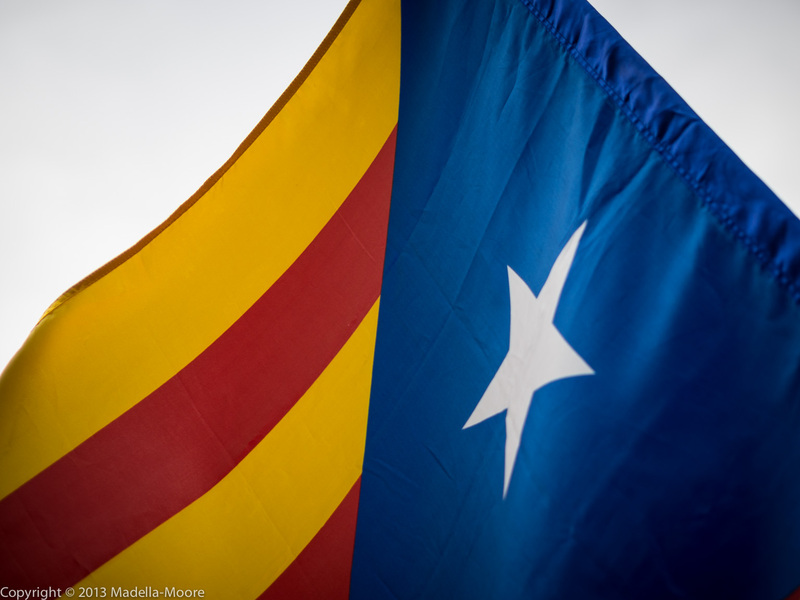 September the 11th is the Diada Nacional de Catalunya – the national day of Catalunya. There is a strong push for complete separation from Spain, to create a new member state of the EU. There is a perfect storm brewing. Firstly, there is the ongoing financial crisis that means the economically prosperous Catalan region sees itself as being unjustifiably forced to subsidise the rest of the Spain. More than anything, economics (tax rises, salary cuts, lost savings and unemployment) fuels dissent. Secondly, there is the emergence of Spanish right-wing nationalism in the form of laws such as the Wert education reforms. This law sets out to subjugate regional cultural differences and identity rather than to advance schooling. 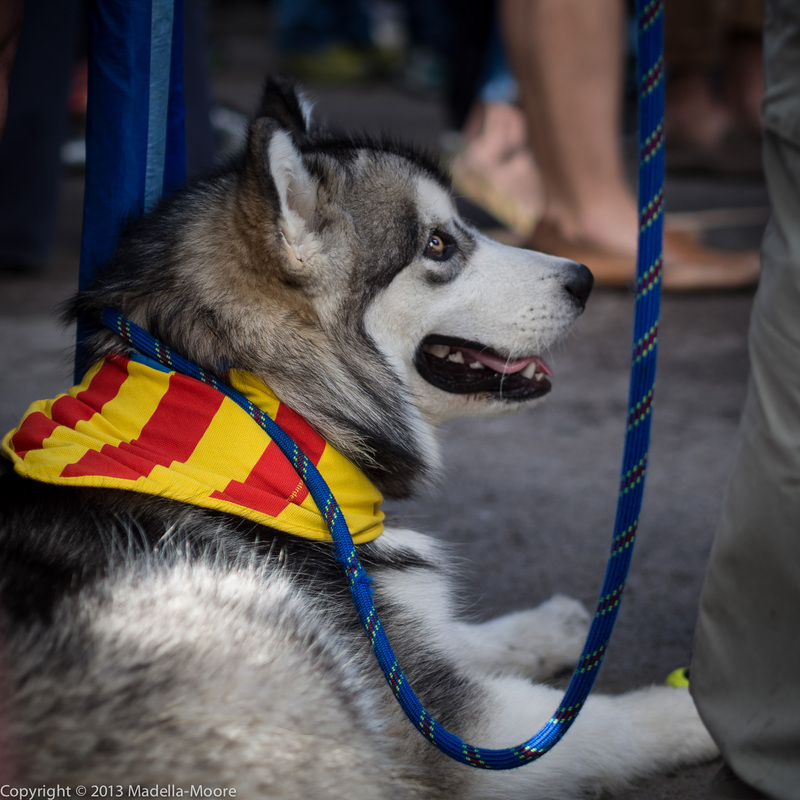 It is a highly divisive law that is characteristic of the current government under Rajoy that seeks to push ideology or for the benefit of the party rather than the peoples of Spain. 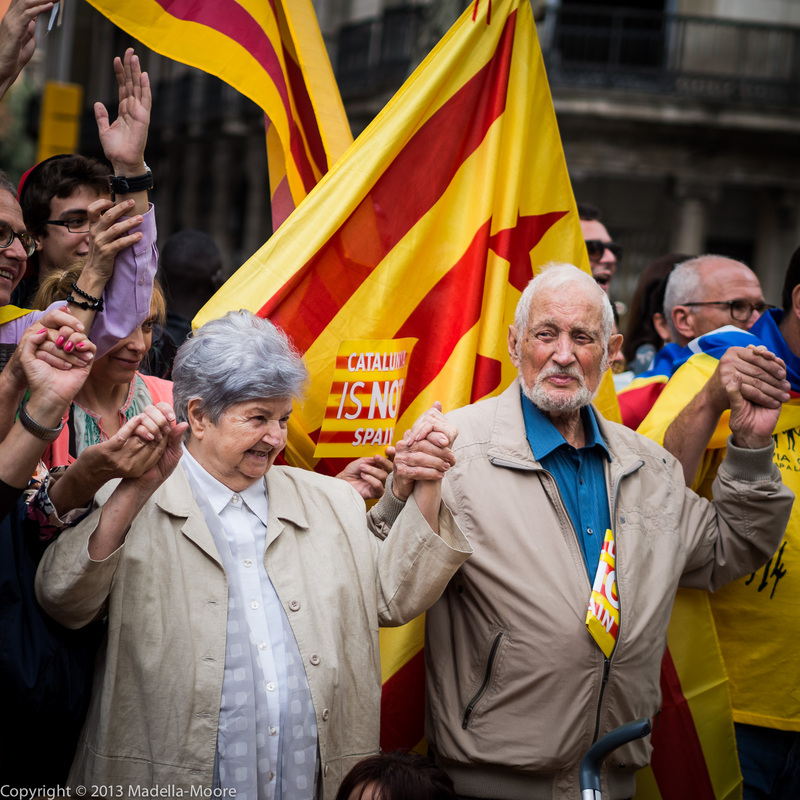 Unfortunately, this creates a climate where extremism can flourish and where some parts of society seemingly want a return to the Francoist Era. Then lastly we have the local politicians – many of whom appear to be minor clones of their national colleagues – seeking to exploit the surge of nationalistic sentiments as much for personal gain than to improve the situation for the people here. For example, witness the constant promises and postponements from Artur Mas regarding a referendum on independence. Some political colours and a tacitly accepted tendency for corruption seem sadly to be areas where Catalunya differs little from Spain. One feature of the current movement is that the protestors for independence come from seemingly every sector of society. This is not a fringe movement of the extreme left or right. Enough people supported this to make a human chain the length of the entire region – from France to Valencia. 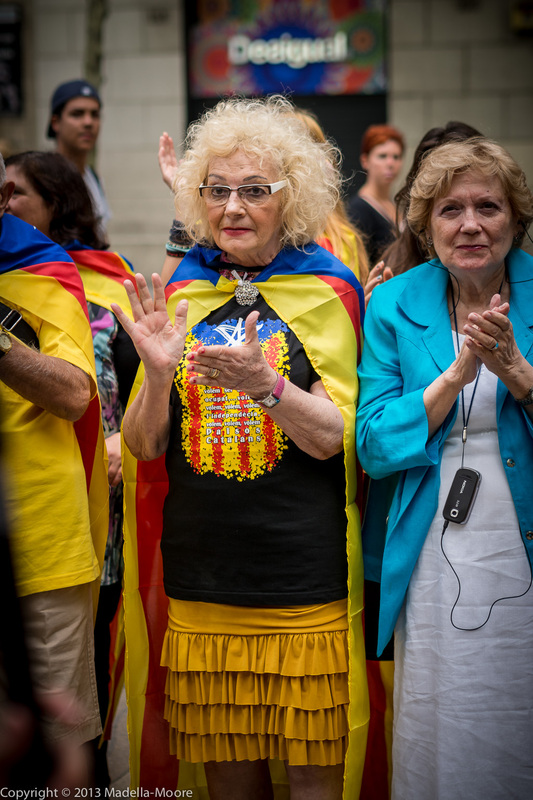 Polls suggest that more than 80% of people now support a call for a referendum on independence, despite the reality that any vote for independence would be largely symbolic. 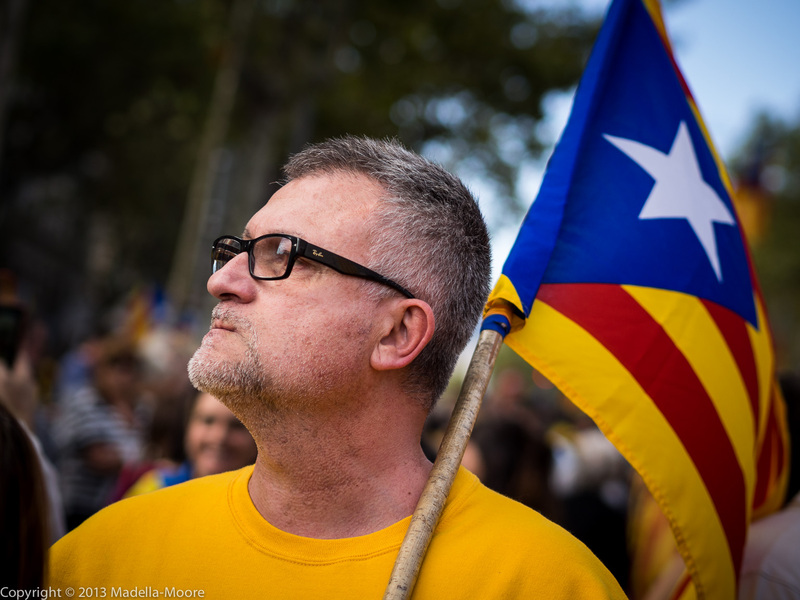 All of this is creating an unstoppable movement for independence that is rushing headlong in to the immovable wall that is the Spanish Constitution. 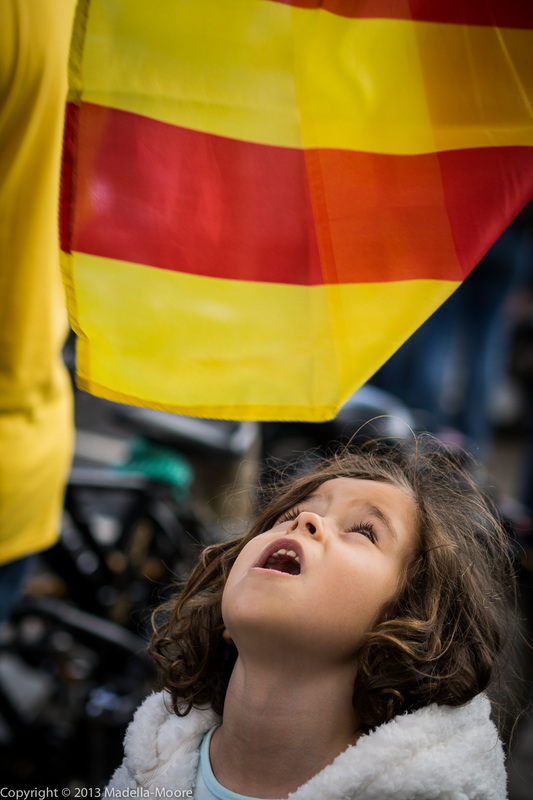 It seems pretty clear that the economic consequences of an independent Catalunya for Madrid would be dire – and in the context of the current sovereign debt and funding troubles, merely a credible threat of separation could reopen the prospect of a collapse of the Eurozone. 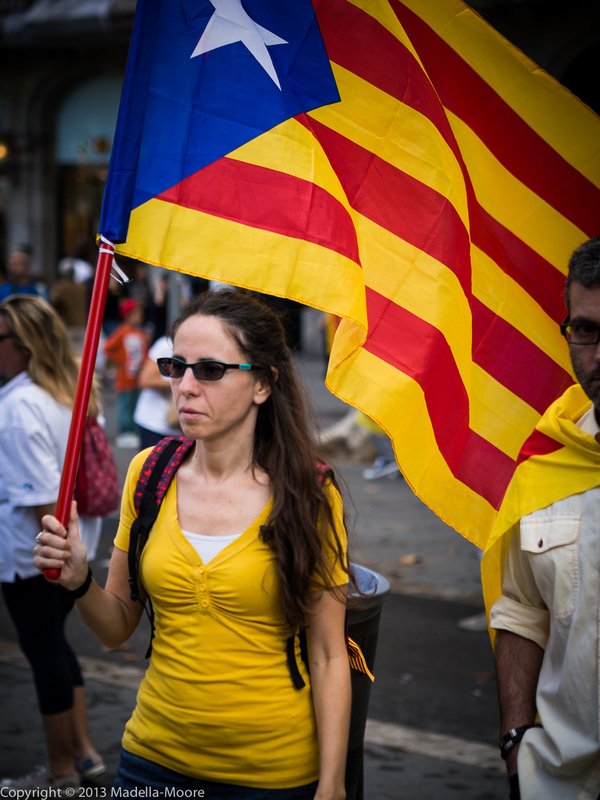 And as to what would happen to Catalunya itself if it succeeded in becoming independent? So far there seems to have been very little credible analysis of that – either politically or economically.